Wael Ghonim is an Egyptian computer engineer currently working as the head of marketing in Middle East and North Africa for Google. During the Egyptian revolution he played a central role within the Egyptian Internet community as the administrator of Mohamed ElBaradei‘s semi-official Facebook page and also the highly popular Kullena Khaled Said (We Are All Khaled Said) Facebook page, named in honour of a young Egyptian beaten to death by the police in June 2010. The Time magazine named Ghonim one of the 100 most influential people of 2011. 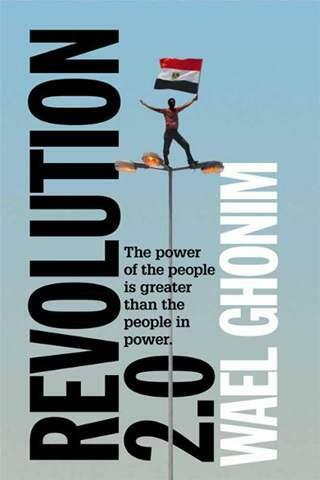 Revolution 2.0, subtitled The Power of the People Is Greater Than the People in Power (2012) is Ghonim’s first person account of the revolution as it unfolded between early 2010 and the fall of Mubarak on February 14, 2011. The first half of the book concentrates on Ghonim’s Facebook activism, in particular the Kullena Khaled Said page which he used to instigate non-violent protests to highlight the Mubarak regime’s crimes against the Egyptian people. Ghonim was living at the time in Dubai (which he took great pains to conceal from the visitors of the pages he administered), so his actual connection with the conditions on the ground in Egypt was rather thin. Therefore, he has to resort to third-party descriptions of the actual events, quoting extensively from messages sent by readers to the Kullena Khaled Said page. Even more than this, however, he dwells on the intricacies of organising a large-scale Internet campaign and keeping in contact with various opposition leaders in Egypt whilst remaining anonymous. The book gets more engaging when Ghonim moves on to describe the events leading up to and following the paramount Day of Anger protests on January 25, 2011. A few days before the event, Ghonim flew into Egypt to actually take part in the protests in person for the first time. However, on January 27, he gets stopped on the street by the State Security and taken to a secret detention centre where he ends up spending 11 days, blindfolded at all times. Ghonim recounts in detail the interrogations and the psychological coercion he was subjected to by the security officers. Here, the story gets much more up-close and personal than in the rest of the book. During his detention, Ghonim’s identity as the administrator of the Kullena Khaled Said gets revealed and he becomes something of a national celebrity in Egypt. After his release, Ghonim is whisked around Cairo for TV interviews and meetings with government officials. Again, he ends up more on the sidelines as the growing pressure from the streets finally forces Mubarak to resign. The Western media has often portrayed the Egyptian revolution as a “Facebook revolution”, grossly overplaying the role of the Internet in the uprising in an attempt to, perhaps, credit Western technology companies as something of agents of freedom in the world. Ghonim’s book may end up contributing to this tendency, even though it clearly states that the Kullena Khaled Said page even at its best only reached about one million readers, a large number for an Internet campaign no doubt, but only a small minority in a nation of 81 million people. Ghonim makes scant any reference to, for example, the wave of strikes that begun in Mahalla in late 2006 and which played a major role in mobilising people against the Mubarak regime. Thus, this book represents a rather narrow view of the Egyptian revolution, something Ghonim also asserts himself. Having said that, though, it’s of course important that the online side of the revolution also gets documented, especially as it is documented here by someone who was at the very centre of that online campaign. 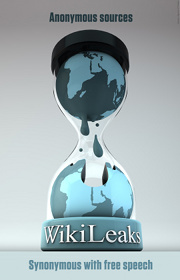 The book provides one piece of the puzzle in a series of events not yet very well understood in the West. Certainly, it also presents an interesting case study for anyone involved in political activism on the Internet.